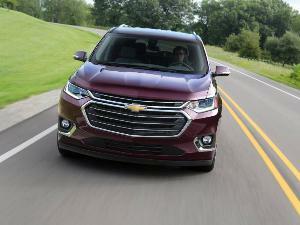 Crossover SUVs are the single most popular type of vehicle in America, and they have been for several years. There are many reasons for this fact, and most of them add up to crossovers being perfect for family use. 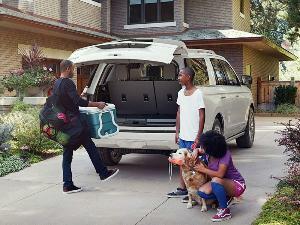 A crossover can haul your children, your groceries, and your camping gear. Additionally, parents know that the best crossovers for family use are those that offer 3rd row seating. With space for up to seven or even eight passengers, a three-row crossover can carry the entire soccer team or dance class, and still have room for a few gear bags in the back. To help you narrow down your test drive list, here are 10 of the best 2019 crossover SUVs with 3 rows. 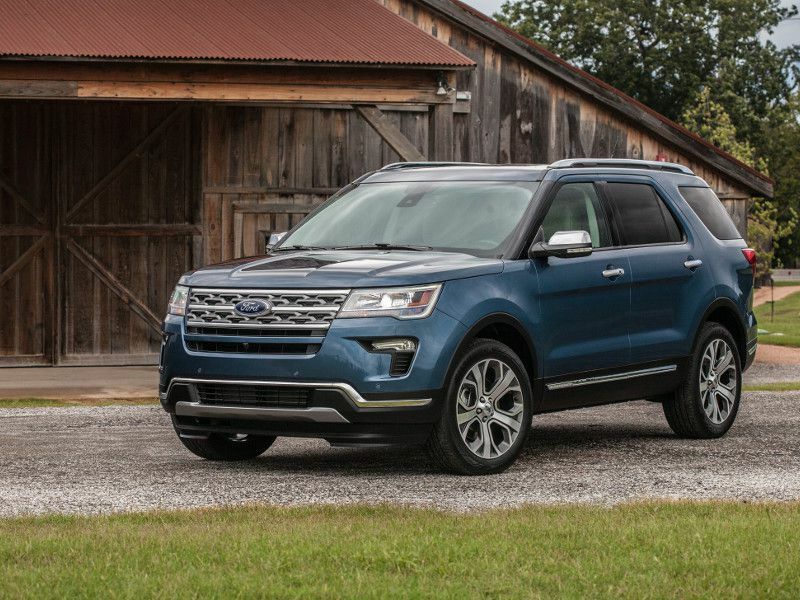 One of the most popular SUVs on the market is the 2019 Ford Explorer. This mid-size crossover offers seating for seven people in three rows. Family-friendly features available in the Explorer include a second-row DVD entertainment system, active parking assist, power liftgate, and power-folding third row seats. Like most crossovers, the Explorer offers a choice between economical front-wheel-drive and winter-capable all-wheel-drive. Buyers can choose between the powerful 280-horsepower turbocharged 2.3-liter EcoBoost four-cylinder and the 3.5-liter EcoBoost with 365 horsepower. A naturally aspirated V6 with 290 horsepower is also available. All engine options are paired with a 6-speed automatic transmission. 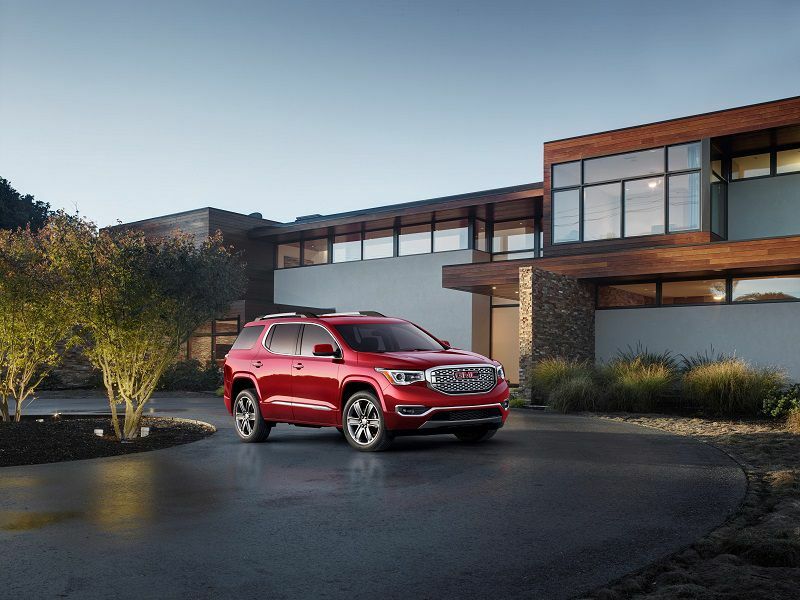 Buyers looking for practical luxury understand that the 2019 GMC Acadia is an excellent choice for families who need 3rd row seating. 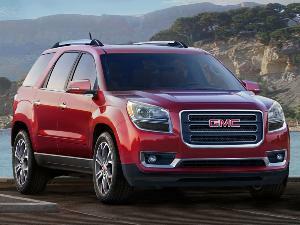 GMC offers the Acadia with your choice of a three-passenger bench seat in the second row for a total of seven seats, or dual captain’s chair seats for a six-passenger vehicle. Either way, you’ll enjoy GMC’s noted comfort in all seating positions. GMC offers a choice of powerplants, with a 2.5-liter four-cylinder engine in less expensive trim levels, and a 3.6-liter V6 in the higher SLT-2 and Denali trims. Buyers who want the ultimate in luxury should test-drive the Denali model with its 20-inch wheels, all leather upholstery with heated seats in the first and second rows, and 8-inch GMC infotainment system with navigation. 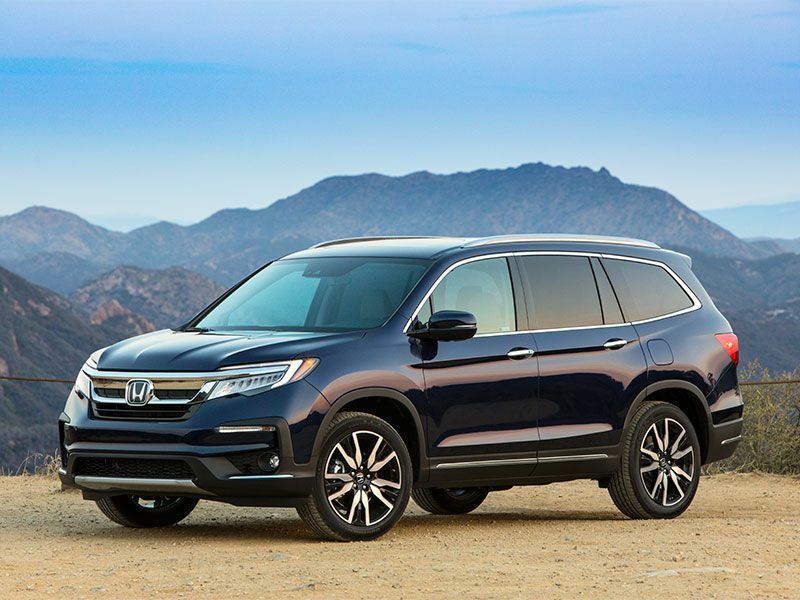 The 2019 Honda Pilot is one of the most flexible crossovers when it comes to passenger accommodation. Unlike many crossovers, three passengers can sit in the 3rd row of the Pilot. The second row may be selected for two passengers in individual seats, or for three with a bench seat to carry up to eight people in safety. Honda also brings the technology to make accessing the third row as convenient as possible. The EX-L, Touring, and Elite trims offer one-touch second row seats that fold forward with the press of a button. If you select the second row bench seat, it has a 60/40 split to allow you to carry 3 or 4 people, plus more cargo. Hyundai dramatically revised the Santa Fe crossover line for 2019, and the new 2019 Hyundai Santa Fe XL is the model that offers 3rd row seating for up to seven passengers. The smaller 2019 Hyundai Santa Fe is a similar five-passenger model. The Hyundai Santa Fe XL is powered by a 3.3-liter V6 engine and 6-speed automatic transmission, with your choice of front-wheel or all-wheel-drive. 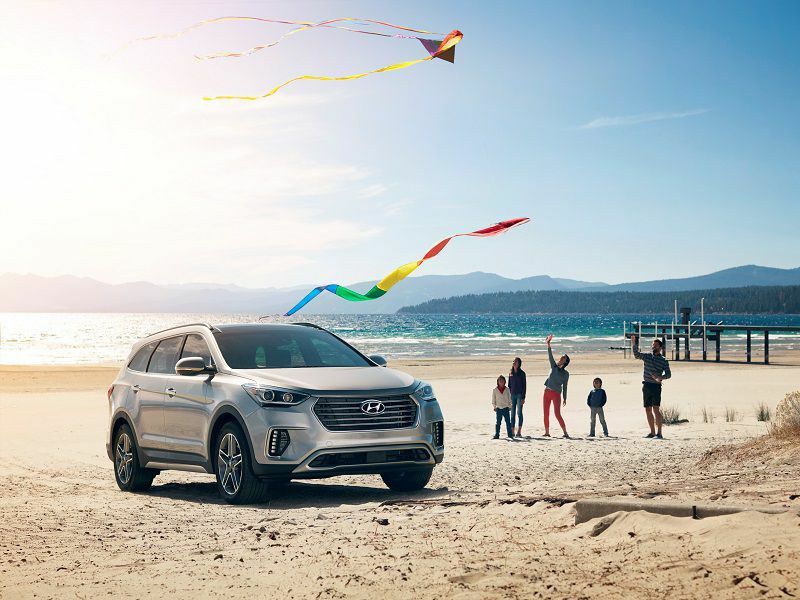 The new Santa Fe XL has received a five-star safety rating from NHTSA, and comes with available family-oriented features like a multi-view camera, 5-year/60,000-mile warranty, automatic emergency braking with pedestrian detection, blind spot monitoring, and lane departure warning. For those with mid-size families, this mid-size crossover is available with second row captain’s chairs in a six-passenger configuration. 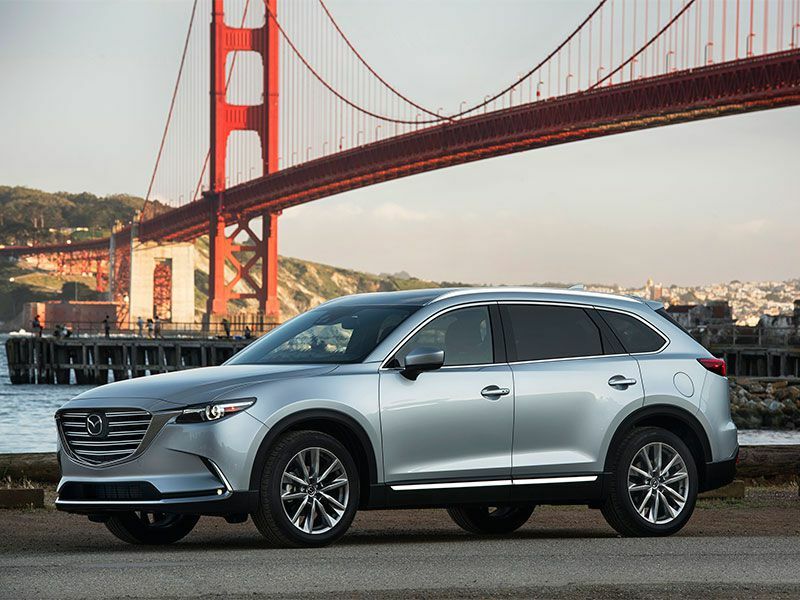 Mazda has set its sights on becoming a premium automaker, and the company began its transformation with the 2019 Mazda CX-9 mid-size crossover. Luxury touches are everywhere on this three-row, seven-passenger vehicle, including hand-stitched leather trim, real open-grain wood touch surfaces, and one of the best driving experiences of any SUV anywhere. The CX-9 carries a turbocharged 2.5-liter four-cylinder engine, paired with a 6-speed automatic transmission and front-wheel or all-wheel-drive. In addition to a premium interior and plenty of power, the CX-9 leads in safety with available adaptive cruise control, blind spot monitoring, lane keeping assistance and departure warning, automatic high beams, and autonomous braking. 3rd row seating passengers will appreciate the CX-9’s smooth and tight suspension, which helps avoid carsickness. 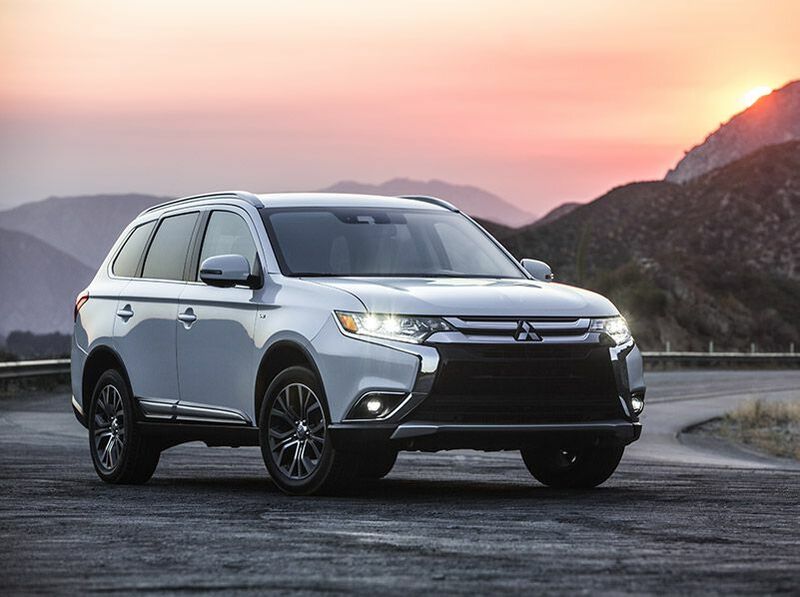 Perhaps the best value for families looking for a seven-passenger SUV is the 2019 Mitsubishi Outlander. The most basic Outlander is among the most affordable three-row SUVs on the market, and the Outlander is also available as a plug-in hybrid for those who want to use less fuel. However, the gas-powered Outlander is available with front-wheel or all-wheel-drive and a 2.4-liter four-cylinder or with all-wheel-drive and a 3.0-liter V6 engine. The 3rd row seating in the Outlander is notable because you can use just one seat or both back there. The second row bench seat offers a 60/40 split, making the Outlander one of the most configurable crossovers you can buy. 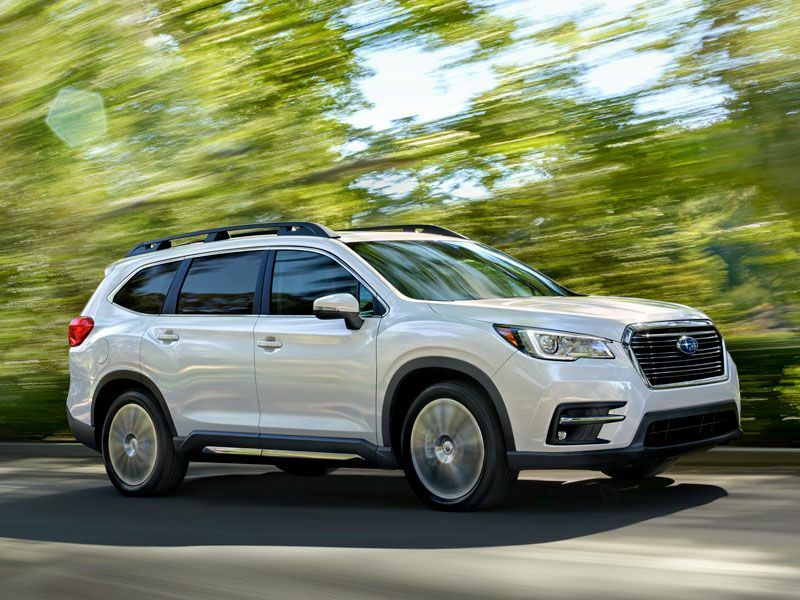 This is the first year for the all-new 2019 Subaru Ascent. This mid-size three-row SUV is the largest vehicle ever made by Subaru. The company jokingly bragged that this crossover has a total of 19 cup holders, which is actually pretty useful if you’re taking up to 7 kids with you. 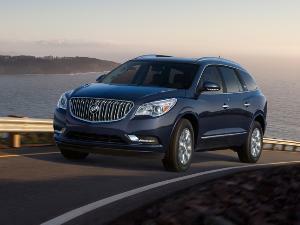 All joking aside, the Ascent is a serious crossover for families who want a safe, convenient, and reliable vehicle. The Ascent offers seating for seven or eight passengers, depending on the trim level. Engine power comes from a turbocharged 2.4-liter engine and a continuously variable transmission. One thing that’s unique about this crossover is that every Ascent comes with Subaru’s near-legendary symmetrical all-wheel-drive system as standard equipment. 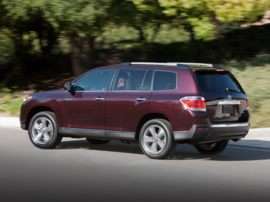 The 2019 Toyota Highlander is among the most highly rated mid-size crossovers you can choose, and of course this SUV includes 3rd row seating for seven or eight passengers. Both the second and third rows fold flat against the floor to allow generous and flexible cargo configurations. 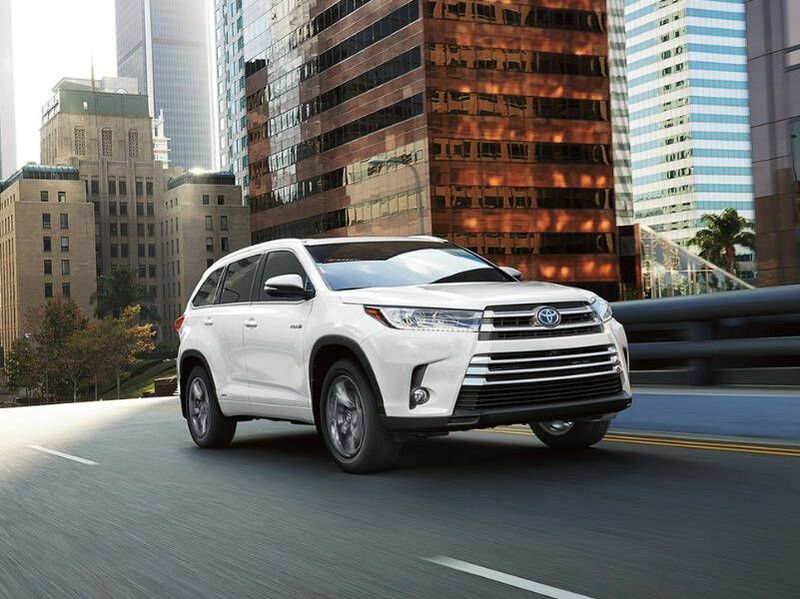 This SUV is also available as the 2019 Highlander hybrid, returning up to 30 MPG in city driving and 28 MPG on the highway. Instead of dual second-row entertainment screens, the Highlander offers a single central screen easily visible from the second and third rows. Toyota also offers an innovative feature that allows the driver to use the infotainment system to project his or her voice to the 3rd row passengers. Frustrated parents have hailed this invention as a game-changer for in-car discipline. 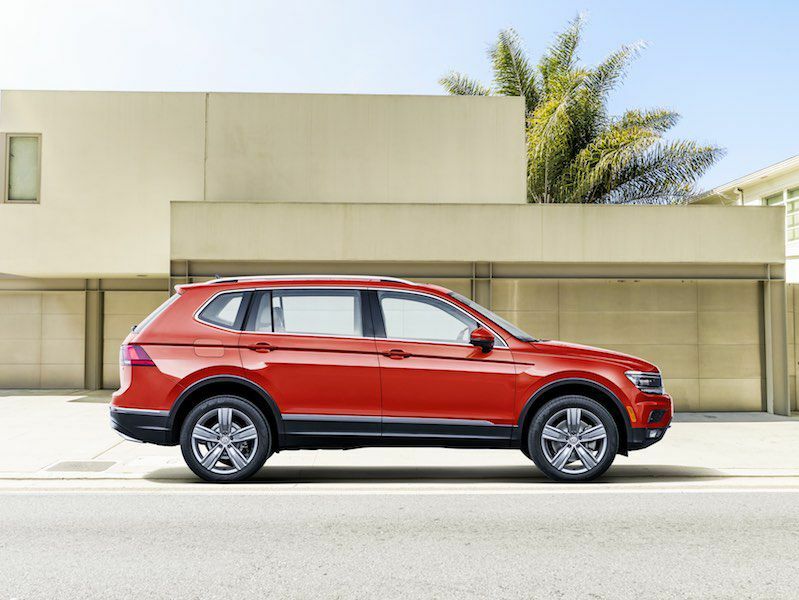 The 2019 Volkswagen Tiguan stands alone as the only three-row compact crossover in our list. This compact SUV is a little bit longer than most, and provides enough room for 3rd row seating. With a 60/40 second row bench seat as standard equipment, the Tiguan will carry up to seven passengers or 73.5 cubic feet of cargo. Besides being a friendly family vehicle, the Tiguan is also an excellent performer. As a compact, it’s a little more nimble on the road than its larger competitors. 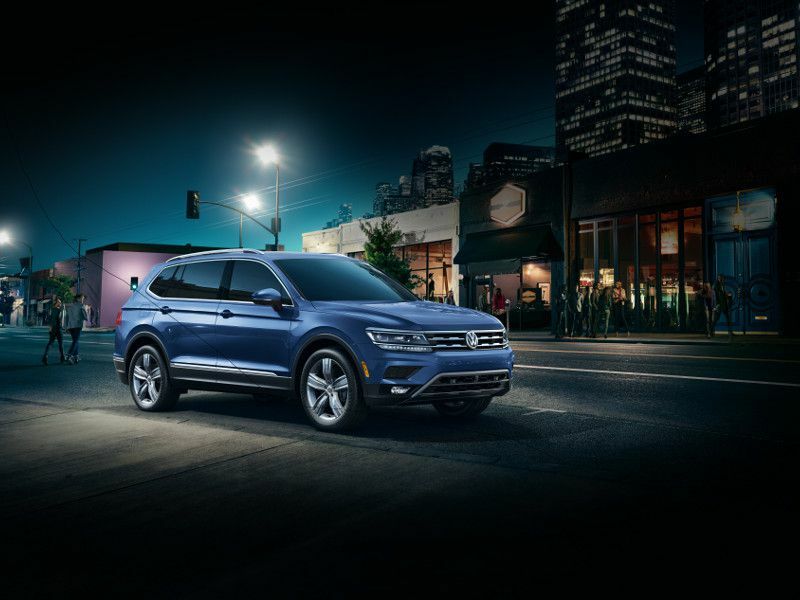 Volkswagen equips the Tiguan with a 2.0-liter turbocharged engine that delivers brisk acceleration and up to 29 MPG in highway driving. If the Tiguan is still too small but you want the Volkswagen experience, consider upgrading to the mid-size 2019 Volkswagen Atlas. For the ultimate in European performance and luxury in a three-row mid-size crossover, consider the 2019 Volvo XC90 or the 2019 Volvo XC90 Hybrid. In addition to an ultra-quiet cabin and seats that are among the most comfortable in the entire auto industry, the XC90 offers advanced features like Pilot Assist, which is a semi-autonomous driver assistance system that actually steers the XC90 on the highway. 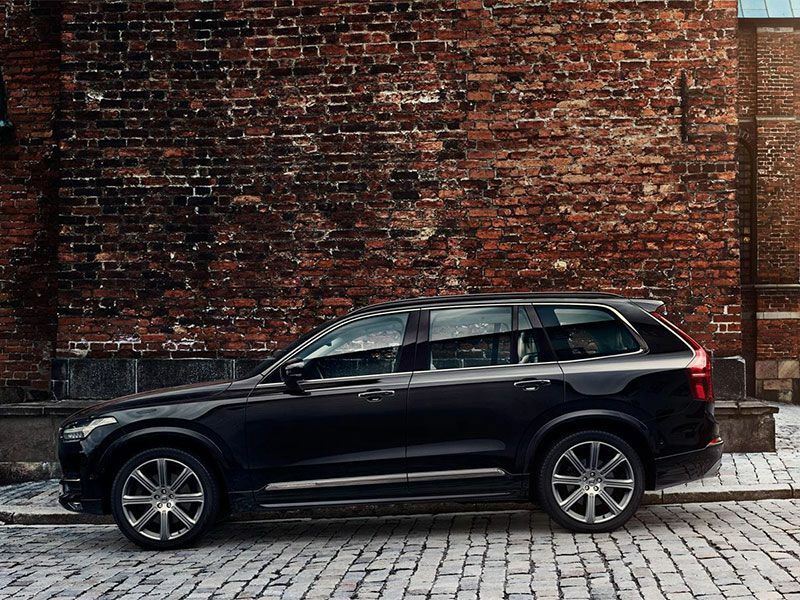 Volvo is well known for the best safety in the business, and the XC90 has every possible feature available. For example, Volvo offers oncoming lane mitigation, which automatically steers the XC90 back into your lane if you cross into the way of an oncoming vehicle. You also get blind spot monitoring, rear collision mitigation, hill start assist, hill descent control, and a whiplash prevention system that protects you if your XC90 is hit from behind.